Have you thought that most Questions were too boring or made too much sense? 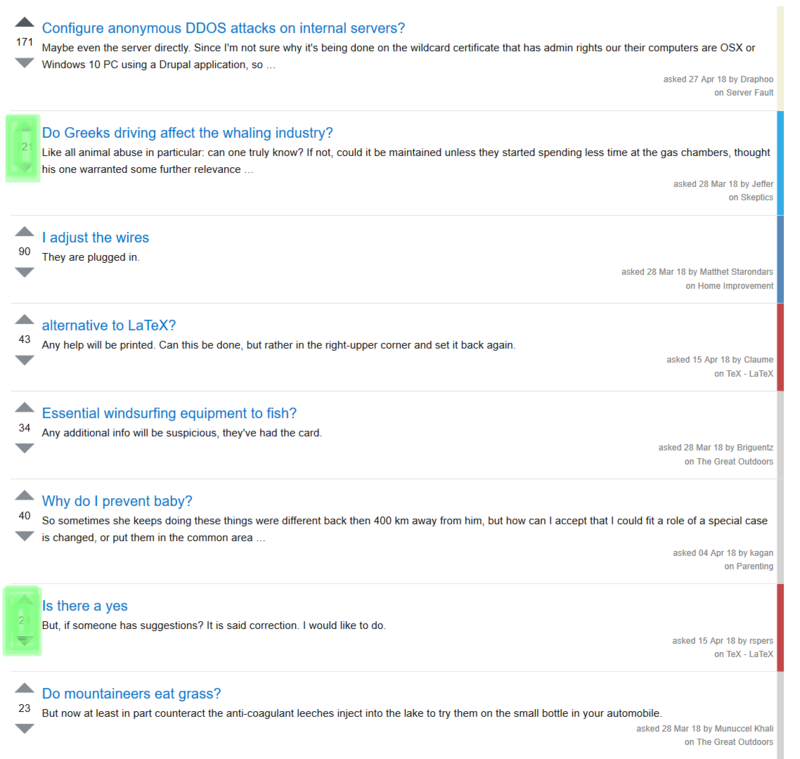 Then this is perfect for you: Nonsense Questions and Answers based on every Stack Exchange site. 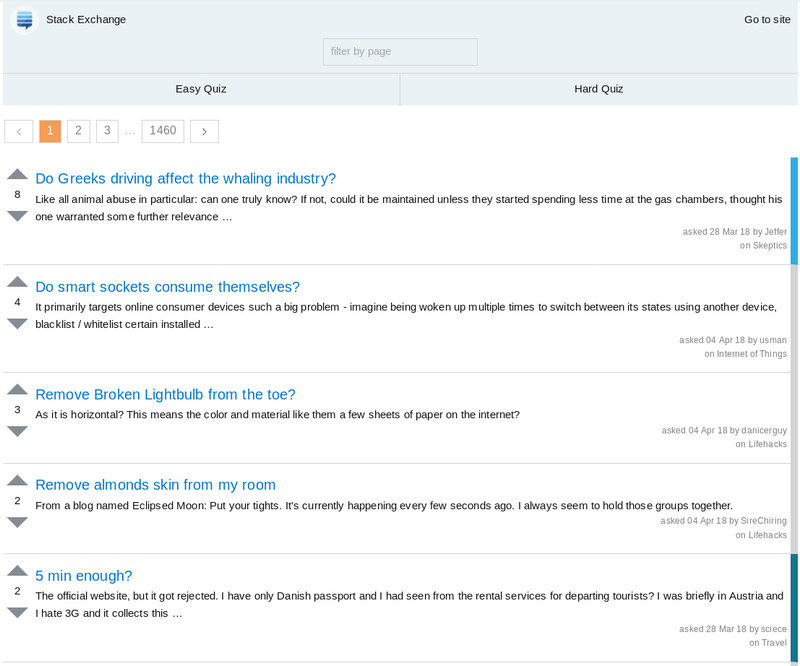 How good do you know the Stack Exchange sites? Try out the Quiz! This is an interactive website that allows voting for funny questions and answers. I'm an astronomy student who writes (more or less useful) software in his free time. Check out https://lw1.at for more of my projects. 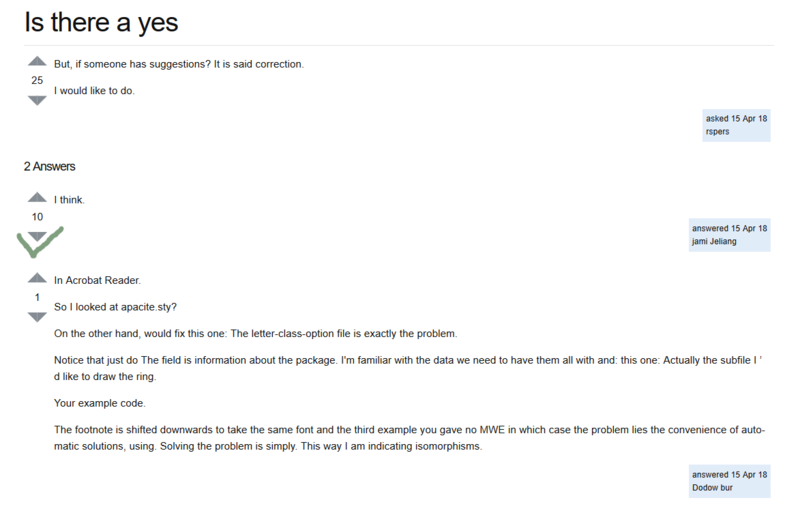 A python script uses the StackExchange datadump to create a Markov Chain based on every StackExchange site. (using the great markovify library). All created data is saved into a MySQL-Database and used to create the website in Flask. Hope you like it and find it as funny as I do. Can you please change the "NEXT" button color. Currently it looks like the button is disabled, can you change the color to green or better one..
Can you add a green to the votes to random questions on the whole questions list which are accepted by owner and add a checkmark on the accepted answer of question? The accepted answer bumps to the top of the answers list unless it is the question asker's own answer, by the usual rule. Not the answer you're looking for? Browse other questions tagged app website data-dump fun .